Support - Location. Cost: 3. 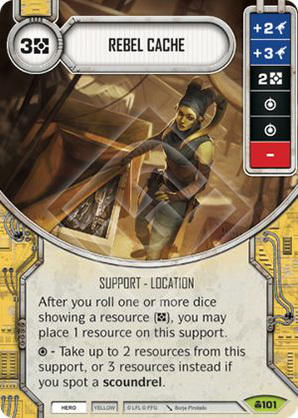 After you roll one or more dice showing a resource (), you may place 1 resource on this support. - Take up to 2 resources from this support, or 3 resources instead if you spot a scoundrel.